The stage is set and The Echoplex is adorned with tiny colorful light bulbs hanging from wires, smoke slithering through and past the instruments. 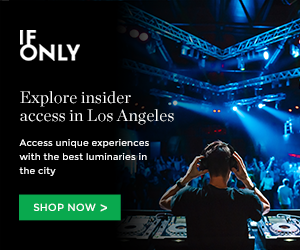 This is the vibey setting for Red Bull Sound Select’s show number 7 of their #30DaysInLA series. Everyone is eager to see Warpaint, a band that has steadily increased their following in recent years. A limited amount of paper glasses were then handed out with no indication of what they were for. But quickly people were struck with the heart shaped lens flare effect they had on the stage lighting. They immediately became a hotly sought after item, to say the least. Warpaint come out casually and opened with “Keep it Healthy” off their latest 2014 self titled album. They’re an absolute joy to watch as the performance unravels, at times they get lost in each other making intense eye contact and grinning widely, as if no one else is watching. Every song hits great moments, their music is mellow but passionate, and their presence is vivacious. All this was amplified by the dreamy flickering hearts from the glasses. They played favorites like “Undertow” and “Love is to Die”, and when they left the stage and returned for their encore they were accompanied by violin and cello players for “Drive” and “Bees”. To add another sweet surprise, Kurt Vile joins them afterwards to play “Baby” off of 2010’s The Fool. Warpaint ended the night with a song that really put them on the map, “Elephants” from 2009’s Exquisite Corpse. It was quite electric as they crossed into a heavy jam session to the end; singer/guitarist Theresa Wayman got the crowd going, Jenny Lee Lindberg whipped her hair back and forth on bass, Stella Mozgawa pummeled the drums, and Emily Kokal flirtatiously rocked to the beat. Take a look at our photos below of Warpaint with Avid Dancer and Son of Stan. Want more photos of Warpaint, Avid Dancer and Son of Stan? Take a look at the photo gallery below! This entry was posted in Featured Stories, Live Concerts and tagged 30 days in la, avid dancer, concert photography, Echoplex, jazz shademan, Red Bull, Red Bull Sound Select, Show review, sons of stan, warpaint on November 8, 2014 by Sandra Burciaga Olinger.